DirecTV, Inc. ordered DirecTV-4S, another Boeing BSS-601HP satellite, in December 1999. 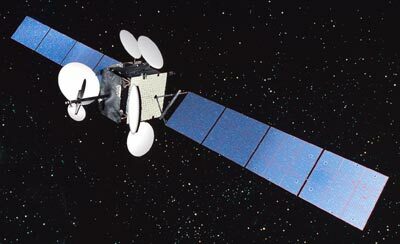 It is the fifth Boeing satellite to be built for DirecTV. It was successfully launched on an Ariane-44LP H10-3 on 26 November 2001 and entered service on 27 December 2001. DirecTV-4S is the first spacecraft in the DirecTV fleet to use highly focused spot beam technology, which enables DirecTV to expand its local channel offerings in metropolitan markets. DirecTV-4S also further strengthens DirecTV's in-orbit redundancy. DirecTV-4S operates at the Ku-band frequency and carries two payloads: spot beams for local channels, and a national beam payload. The spot beam payload uses a total of 38 traveling wave-tube amplifiers (TWTAs), powered by a combination of 30 watt, 45 watt, 65 watt, and 88 watt TWTAs. The national beam payload carries two active transponders with further capability for two active high power and six active low power transponders.